Me, You, Other, Site: Indulgence. The place I stayed was super convenient. It was like in the middle of everything. There's like more than 20 restaurants and cafes and also pub/bar nearby. Woke up pretty late and we went to Papparich for brunch since it was about 12pm plus. I had papa naan for brunch. Yes I know that's very very light. But I couldn't afford to eat heavy meals as I knew that I'm going to eat like mad later on. Once we were fully charged with energy, we headed to Pavilion for food hunting!!! We went to Tokyo Street. Seriously I love the concept of Tokyo Street. It makes me feel like I'm home, like I belong there. Our first food hunting was Sweet Mochi. It was delicious and quite expensive as well. It's a mochi with ice cream inside it. I had Mango Yogurt while Erin had Green Tea Mochi. You need to wait at least 30 minutes before eating it. I ate it 10 minutes later after buying and the whole Mochi was so hard because it was kept in the freezer. But still, it was good. hahahaha! Hence for better effect, just follow the instructions. I was too tempted to eat it and that's why I ignored what the lady told me to do. Next we bought Japanese Ice Cream which was located right beside the Mochi's stall. The taste was not bad. I'm not a really big fan of fruity ice cream. I prefer chocolate or vanilla ice cream instead. We walked all the way to KLCC from Pavilion. It's a good thing for me anyway. Can digest the food I ate and continue eating again without being afraid of the word FAT. 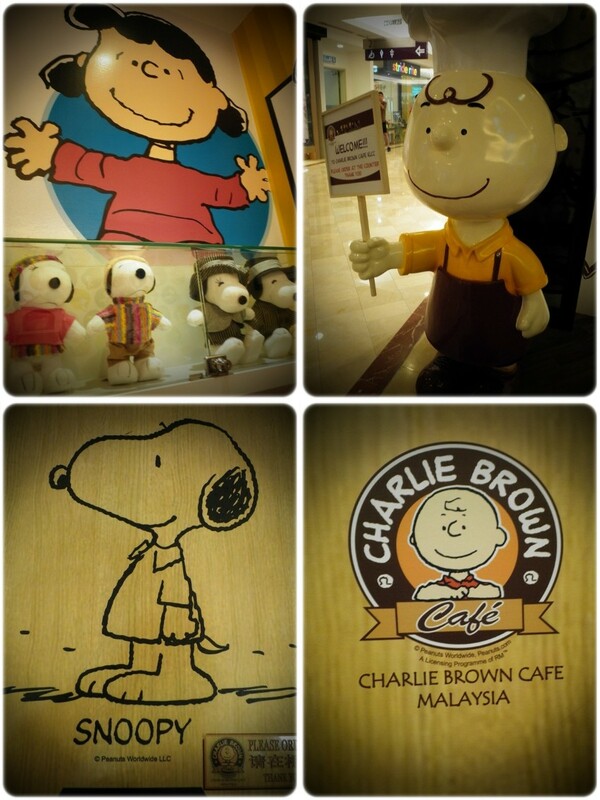 The first thing we did when we reached Suria KLCC was to look for the directory to guide us to Charlie Brown Cafe. 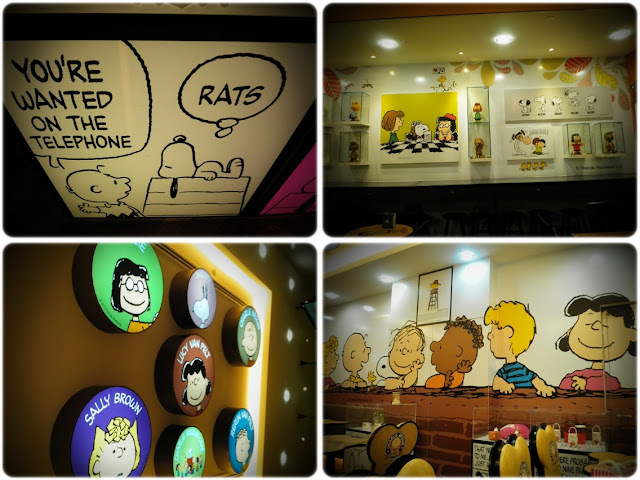 I saw a friend of mine who went there and that's how I get to know that there's actually such a cute cafe in KLCC. The interior is so lovely! Thanks to my lousy camera (didn't get to bring my baby's semi dslr, so I have no choice but to use my pinky camera) the pictures are all pretty dark due to the setting. Oh My!!! This is so freaking delicious I tell you!!! Though it's pretty expensive but it's worth it. Yummy! After all those eating, we spend sometime in Kinokuniya bookstore. I was standing at the comic section only. LOL! Then we walked all the way back to Pavillion and proceed walking to Sungai Wang from Pavilion. Lots of walking on that day. It started to rain heavily in the evening and both of us were too tired and we call it a day. Went to McD for dinner. Woke up very late and I followed Erin to the dentist to remove her braces. Went to Shabu Garden around 12.30pm for brunch. We ate until almost puke. The amount was so a lot for our tiny appetite. I took at least 2 hours plus just to finish everything up. Basically we only spent our third day in the dentist, Shabu Garden and F Block store. Bought a 6.30pm ticket back to Melaka. Had Slurpee while waiting for the bus to arrive. Love this drink so much but it's way too unhealthy. The coloring was so strong that it makes your tongue all blue as well. Had a great time with Erin. 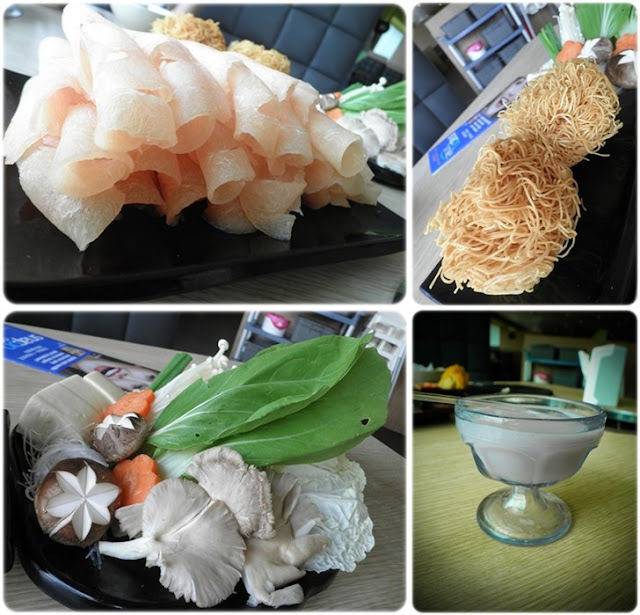 Hope to spend time with you again and explore more foods. Right now I'm having another 11 days worth of holiday before my final semester starts. Can't wait for my next trip slash work to Port Dickson next week.